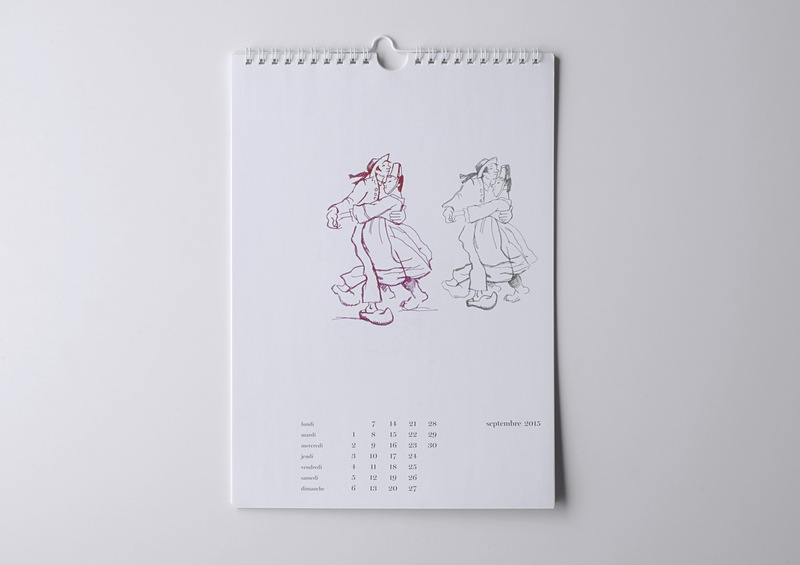 Artist book conceived in the form of a calendar showing several drawings of a couple dancing, in different positions and compositions for each month of the year, from May 2105 to April 2016. 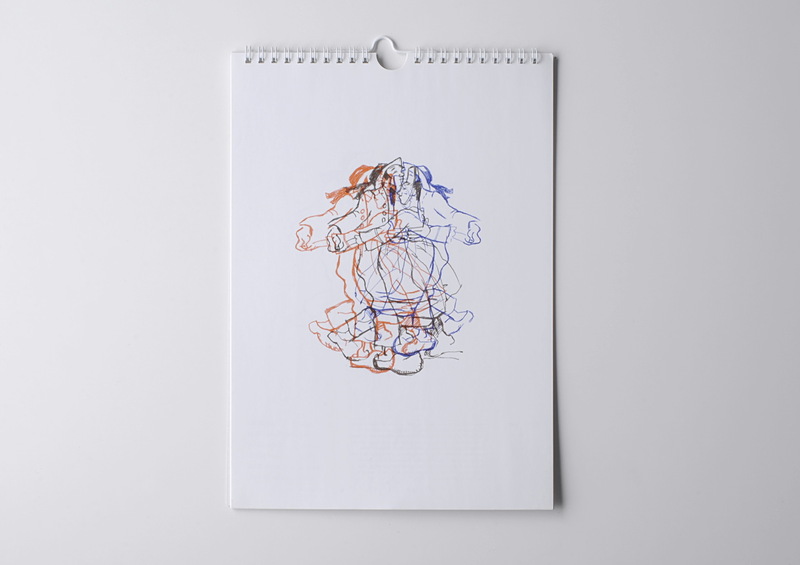 Each year 8, rue Saint-Bon, Paris invites an artist to conceive a calendar dating from May to April of the following year. In 2015 they asked Ana Jotta to do the publication.